Quite heavy size 14 and 16 jig fly built with an interesting tungsten called Javi which is in fact a combination of tungsten body and a bead. 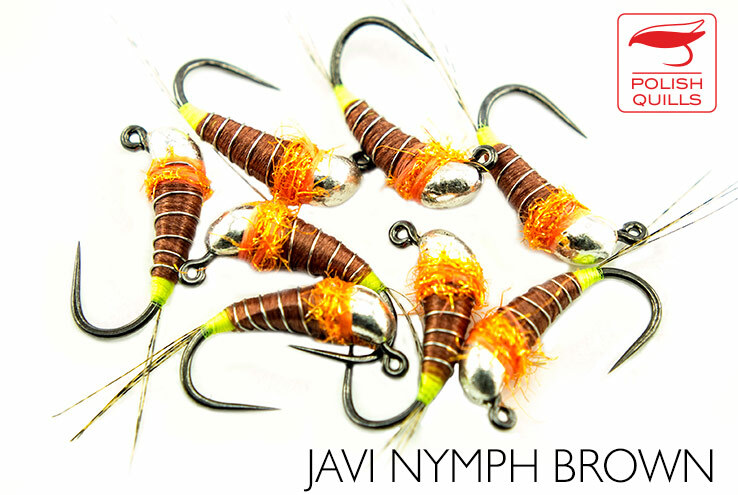 This allows building slim but very heavy nymphs on a relatively small hook. Same size hook with a Javi on will be 2 to 3 times heavier, than with just a bead on.